Help your customers flex and grow their communications capabilities as their business needs change, with sipsynergy's BHC, a powerful, feature-rich cloud telephony and communications solution. More features and fewer add-ons mean better value. Up to five devices supported per licence. Make switching to the cloud easy for your customers with all the most popular communication tools, including voicemail, integrated messaging, conferencing, hunt groups, call waiting, auto attendant and call recording. With BHC your customers can choose the devices that work best for them, from desk phones to mobiles, PCs to tablets, and more. Enable them to switch to the cloud easily, boosting their productivity and ridding them of the costs and complexity of traditional telephone solutions. Combining the most popular communication features (including voicemail, integrated messaging, conferencing, hunt groups, call waiting, auto attendant and call recording) you can easily switch to the cloud without the cost and complexity of traditional telephone solutions. Choose the devices that best work for you, across desk phones, PCs, tablets and mobiles to boost your productivity. Reduce your customers' operational and administration overheads with hosted communications. CAPEX investment is minimal and OPEX is predictable, flexing easily to scale naturally with the growth of your customer's organisation. Our call plans make for easy budgeting and even the ability to fix communications costs, maximising value and budgetary predictability. BHC is an evergreen cloud service, so there are no hardware replacement costs or software upgrades to address, and your customers can finally wave a fond farewell to ISDN line rental charges. Hosted communications means lower operational and administration overheads. CapEx investment is minimal, and OpEx is predictable and easily flexible to naturally scale with the growth of your organisation. Our call plans enable you to budget and fix your communications costs, giving you even greater value and fewer surprises. As an evergreen cloud service, there are no hardware replacement costs or software upgrades. And you can finally say goodbye to ISDN line rental charges. 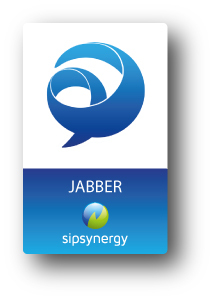 The nationwide sipsynergy network provides quality-enabled PSTN and IP services across secure, reliable connections, uncontended end-to-end with the highest QoS levels, allowing you to give your customers guaranteed jitter-free, zero-dropout calling capability. We take security very seriously. All calls are routed over point-to-point VPN connections. As an ISO 27001 accredited company, our processes and practices ensure that our service is delivered consistently with 24/7 support from our UK-based, in-house support team. 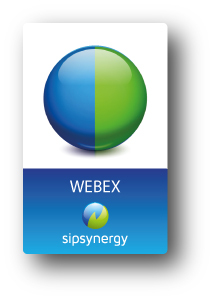 If it's on the sipsynergy network, it’s guaranteed. Our nationwide, end-to-end network provides quality-enabled PSTN and IP services across secure and reliable connections. Say goodbye to dropped and jittery calls. We use point-to-point VPN connectivity to keep your calls as secure as possible. We take security seriously. As an ISO 27001 accredited company, our processes and practices ensure that our service is delivered consistently with 24/7 support from our UK service desk. If it's on our network, it’s guaranteed. Make managing telephony easier than your customers could ever imagine, by transitioning them to the cloud. Gateway, our easy-to-use online partner portal, gives access to real-time billing, facilitates the easy creation of quotes, sales orders and support tickets, and provides a range of other controls and visibility to help you and your customers make the most of our service. The simple yet comprehensive interface makes delivering, customising and managing BHC effortless. Users also benefit from online reports and controls to help them make the most of the functionality available. Managing your telephony is easier when it's in the cloud. Our easy-to-use online Gateway gives you access to real-time billing and all the controls and visibility you need to make the most of our service. The simplified, yet extensive online interface makes delivering, customising and managing your communication needs effortless. 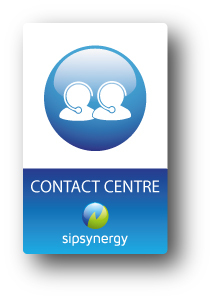 With sipsynergy’s BHC, you can offer your customer the solution that best fits their needs. Choose either a managed VPN or our assured service with connectivity. With either option, you can choose between various models to suit your customer's needs: licence only, licence and call package, or licence with call package and Cisco handset. Whatever your customer's needs, we're here to advise and guide on which is the best option in each case. A problematic issue with many hosted solutions is their one-size-fits all approach. BHC is more flexible, putting you and your customer in control of the feature set delivered. Whether you are working with a new start-up or a large multi-national, sipsynergy has a BHC solution to meet their needs. We are constantly developing and expanding our feature set and listen carefully to our partners when responding to their customers' evolving business needs. BHC helps you help your customers stay competitive, up-to-date and mobile. Want even more functionality? Add these. Here are six solid reasons to partner with us. We are a channel business, delivering our services via our partners. We focus our energies, talents and resources on providing you with exceptional solutions for your customers, and helping you grow your business with them. We give you your own, dedicated account manager and technical support. We help you serve your customers better. Do everything through our Gateway online partner portal: quote, order, manage and bill from a single pane of glass. Stay ahead of your competitors with the latest enterprise cloud services. Take advantage of our ready-to-go service, bringing the benefits of cloud communications and collaboration to your customers without the need to invest in and support in-house infrastructure. With sipsynergy, you remain in control, maintaining your contracts with your clients.